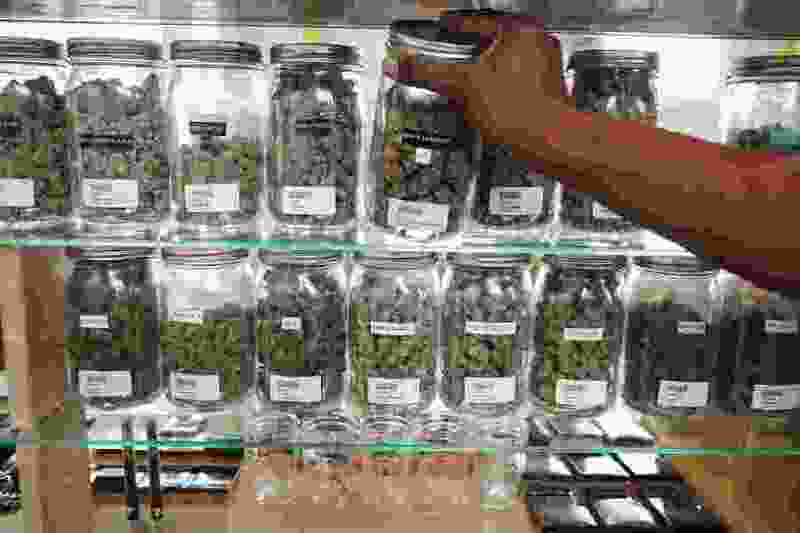 (Carlos Osorio | AP file photo) In this Oct. 2, 2018, file photo, a clerk reaches for a container of marijuana buds for a customer at Utopia Gardens, a medical marijuana dispensary in Detroit. Chronic pain is the most commonly cited reason people give when they enroll in state medical cannabis programs. A study published Monday, Feb. 4, 2019, in the journal Health Affairs looks at available data from states that allow marijuana for medical use. The West Valley City Council on Tuesday unanimously approved an ordinance setting out new zoning standards and regulations for medical cannabis pharmacies and production facilities. Approval came after a public hearing at which no resident of Utah’s second largest city chose to speak. The ordinance came from the Utah Legislature’s HB3001, a replacement bill for Proposition 2 — the ballot initiative passed in November to legalize the use of medical cannabis. Sam Johnson, West Valley City spokesman, said the council’s action simply put into city code the restrictions and rules required by state law. The ordinance specifies in which zones medical cannabis facilities can be located and limits the city to a single cannabis pharmacy. It also bans drive-through service at this pharmacy, along with outdoor vending machines. The pharmacy, if one is placed in the city, would be limited to hours of from 8 a.m. to 8 p.m., would have restrictions on signs and could not be within 1,000 feet of a cannabis production facility or an establishment that sold alcoholic beverages.